The lovely weather today made me feel like going for a bike ride, so that’s exactly what I did. It was quite cold (around 9 °C or 48 °F), but once I was underway, that didn’t really bother me. There was a decent bit of wind (though not nearly the storm from a few days ago), so I planned my ride for headwinds the first part and tailwinds the last part. Starting from the B, I headed west out of the city and rode around part of the Valkenburgse Meer (Valkenburg Lake). From there I zigzagged to the small village of Rijksdorp, just north from the town of Wassenaar, which is one of the Netherlands’ most wealthy places. I carried on westwards into the dunes and turned right just before I got to the beach, following a truly wonderful bike trail through the dunes to the beach town of Katwijk. After a brief stop at the Katwijk beach, I made my way back to Leiden, with a detour past the Old Observatory. The entire ride was 32.7 km (20.3 mi) long; that’s my longest tour since last July’s Flower Bulb Route, and the longest ride I’ve ever done in any winter. I guess that’s the advantage of the current one being a few degrees warmer than normal. 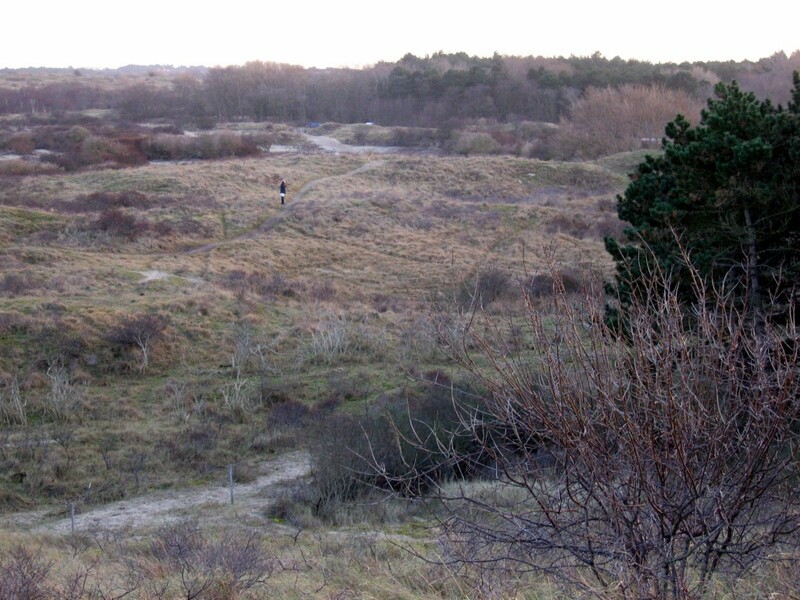 The dunes northwest of Rijksdorp, with the beach and the North Sea behind me. The dunes extend about two kilometers from the beach. 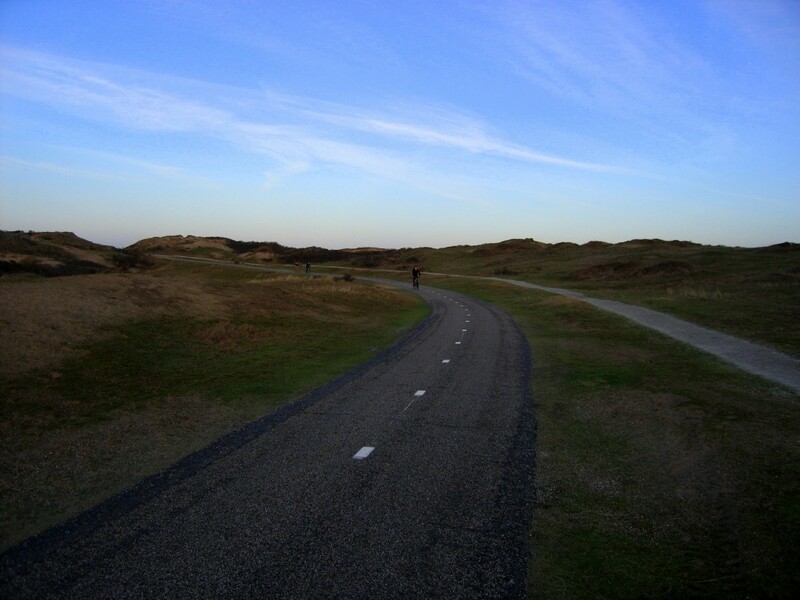 The bike trail as it winds its way through the dunes. I followed the trail for about ten kilometers (six miles), but it runs for at least another ten in the other direction. There’s hardly a flat or straight part anywhere, making for a fun ride–especially with the strong tailwind I had today. 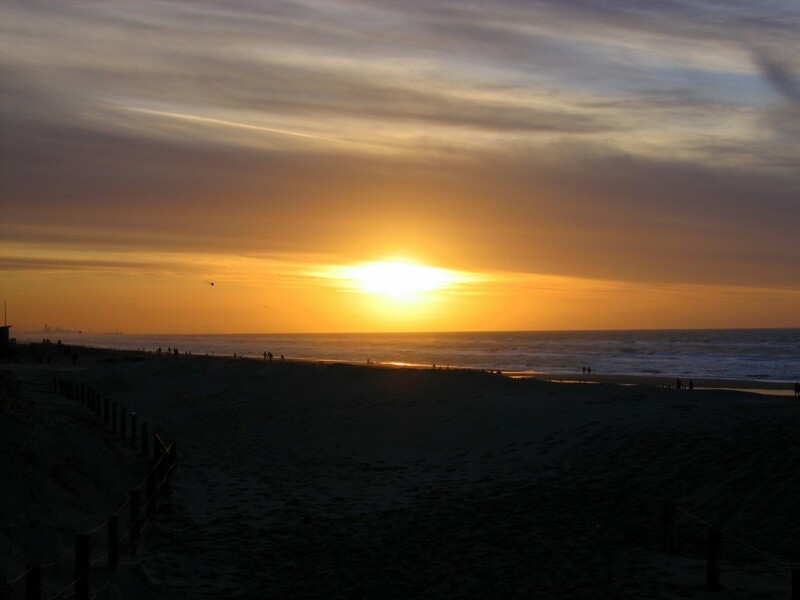 Sunset at the Katwijk beach at around half past four. The structures just visible on the left part of the horizon are probably part of the Rotterdam harbour, over thirty kilometers (19 miles) away. This harbour is the largest in Europe and was the largest in the world until 2004. For some more pictures, check out the Dune Route album in my photo galleries.